I would also be interested in creating other file type using keyboard shortcuts. I have attempted to use automator but I'm finding it quite confusing and I'm not sure how I would connect a keyboard shortcut to it. Well, here you go with an AppleScript for that. Drag and Drop the Run AppleScript workflow element onto the grey space. If you have iCloud Drive activated, make sure you are saving the file under Library/Services/ in your Home Folder. Assign a shortcut to it by clicking on the right side none, which turns into a Add Shortcut. Click the Button and type the shortcut you wish to use. I've created an AppleScript very similar to the @YoshiBotX's one, but with some improvements. Go to Settings -> Keyboard -> Shortcuts -> Services and assign a shortcut to it. For convenience, I'm putting this AppleScript in this GitHub Gist. You can create an Automator Service yourself — it is rather simple to do. Then you can assign a keyboard shortcut to it so that you don't need to activate the service through the services menu (which you can do anyway). Open Automator and select Service as the type of new document. Set the service to receive no input in Finder.app and add the New TextEdit Document action to the workflow. 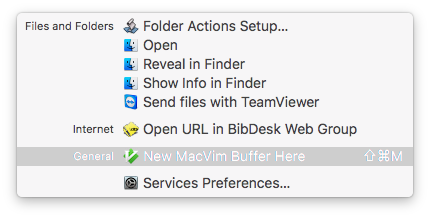 Save the service, then open System Preferences → Keyboard → Shortcuts → Services where you will find the service listed under General with the name that you gave for the service when you saved it. 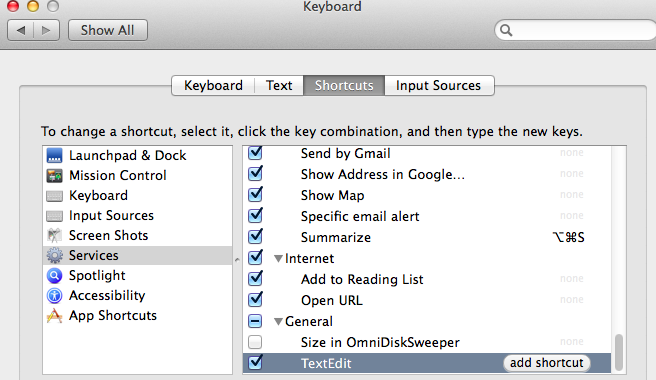 Add a keyboard shortcut to the service by selecting the service then clicking 'add shortcut'. Here you might have some problems if the shortcut is used already. So get creative to make one that works for you. The insertion location is either the target of the frontmost Finder window or the desktop. This is a repost of a post that I made last year. I have had good experience with the following. There are two useful utilities that you can download and install that will enable you to create a new text file (or RTF file) in a currently-open folder that you are viewing using the Finder. Icons for either of these apps can then be included on all of your Finder windows. Just what I'd been looking for, Richard Fuhr. Thanks for this. An alternative, if you already have BetterTouchTools (it used to be a free app, now it has a pay-what-you-want model with a 30 day trial period), you can find the action on "Utility Actions > Create New File in Current Folder" which does exactly this, with a pop-up to let you pick the name. Assign the shortcut you want (I picked Option+Shift+N) and you're good to go. Not the answer you're looking for? Browse other questions tagged keyboard finder automator script . 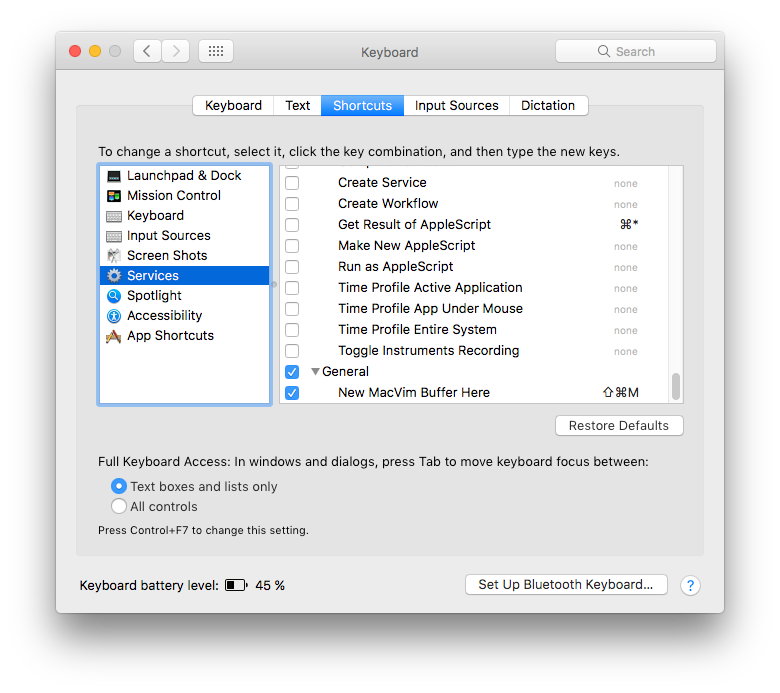 How to create a simple keyboard macro with Automator?